Out of 201 participants, 1 of them had Cataract operated and IOL lens fixed. 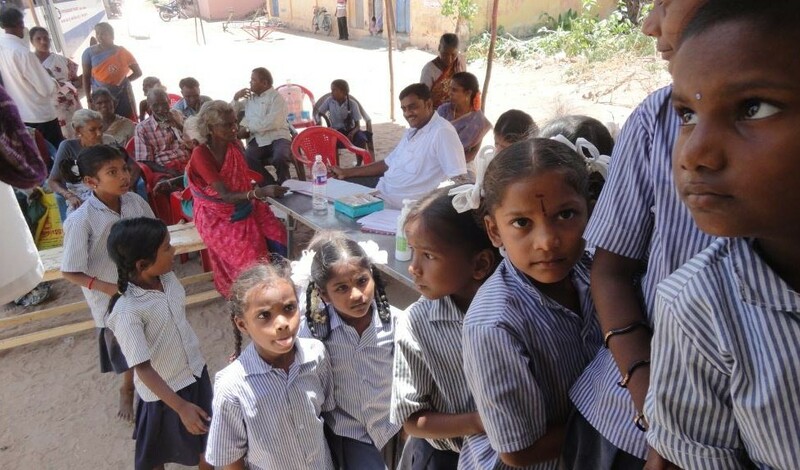 Short Vision lenses provided to 13 of them and Distance Vision power lenses provided to 28 Beneficiaries. 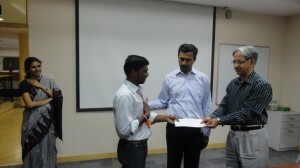 In this picture Mr. Udhaykumar is receiving the lenses from Mr. Sriram Subramanya, Managing Trustee, Sriram Charitable Trust (CSR Arm of Integra Software Services Pvt. Ltd.). 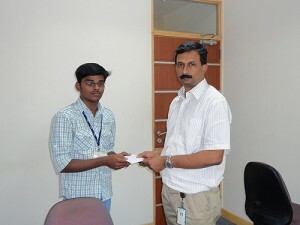 Medical aid sponsored to Mr. R Mahesh for the cardiac treatment for his son Sri Sai Lokesh – (6 months olds male baby).